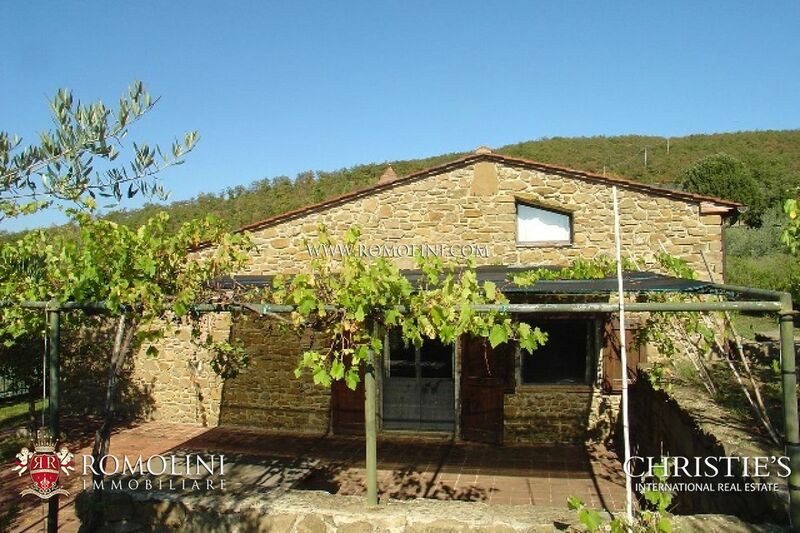 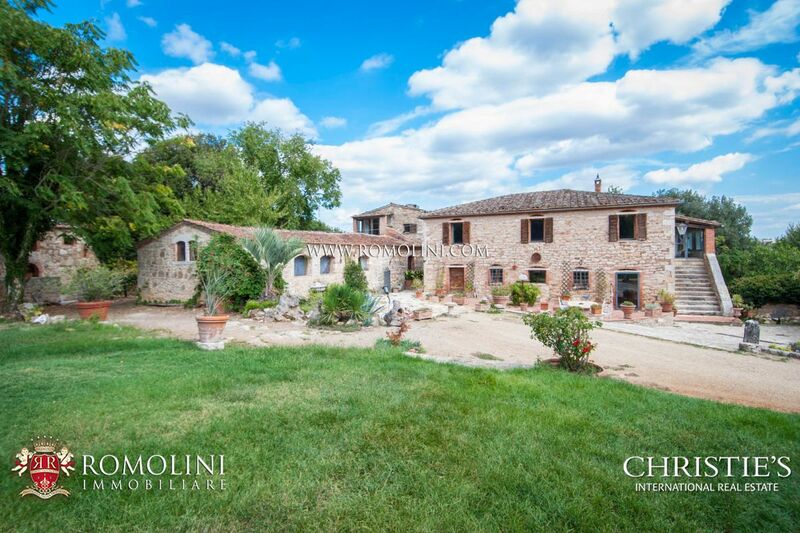 FEATURES: Old stone constructed, panoramic terraces, parquet floor, wooden beamed ceilings, old stone fireplace, alarm, mosquito nettings, lightening system, irrigations system, electronic gate, complete machinery for the farming activity. 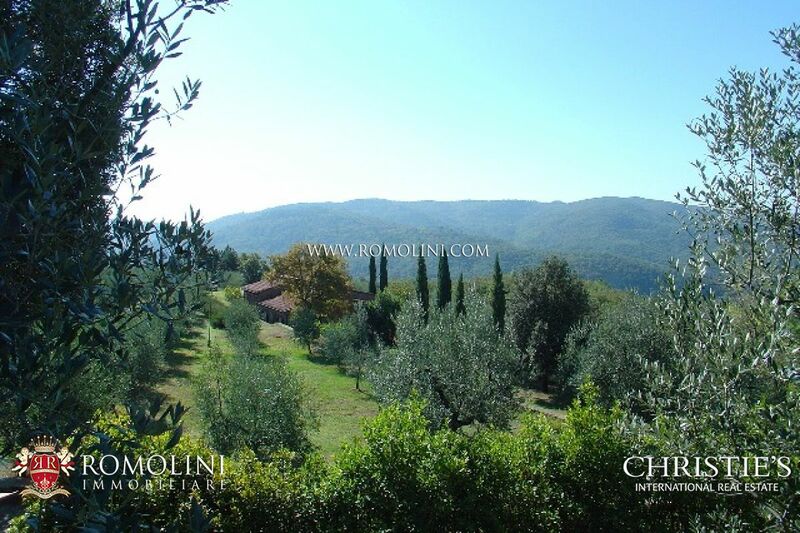 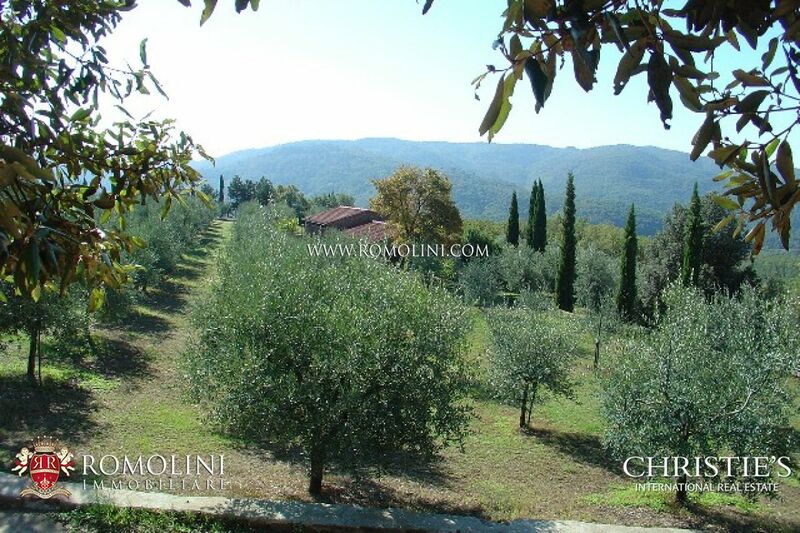 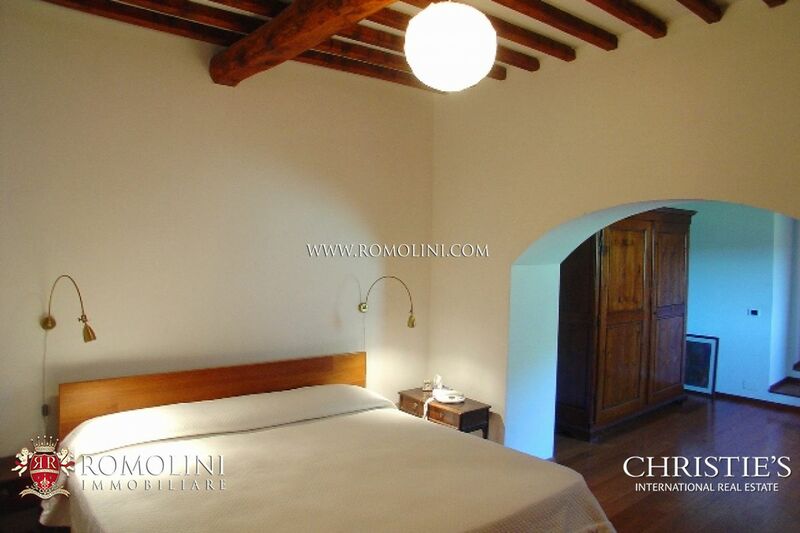 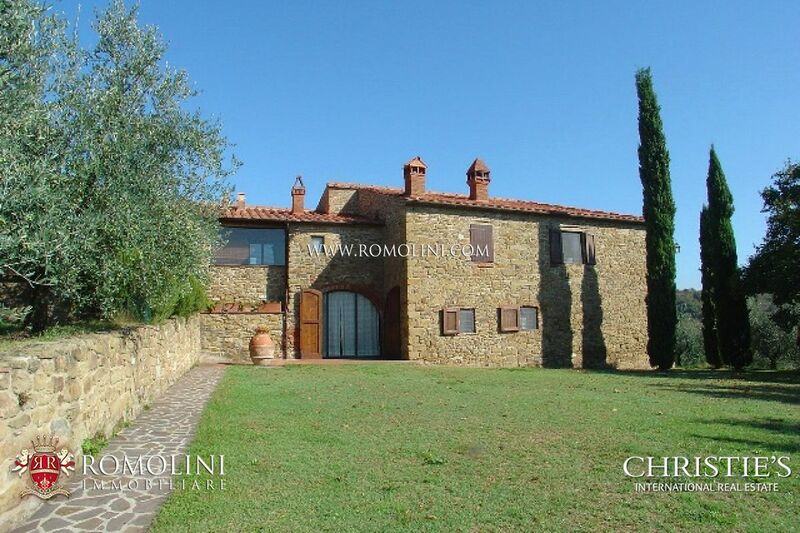 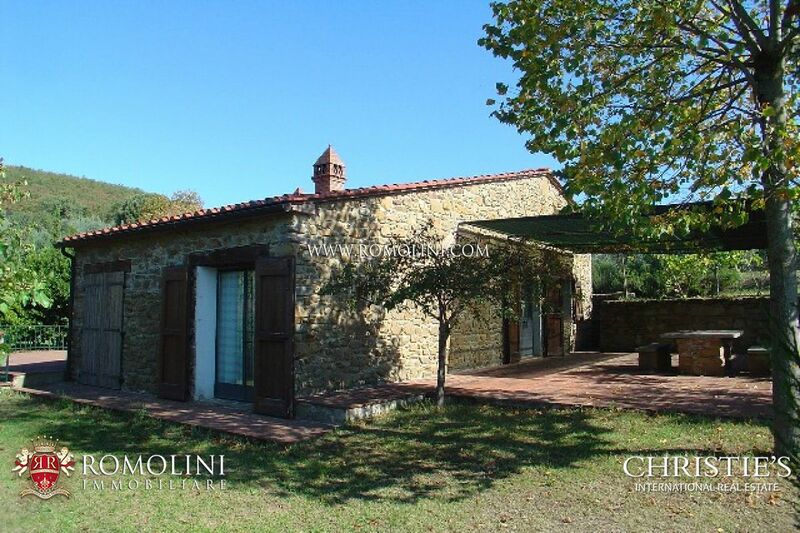 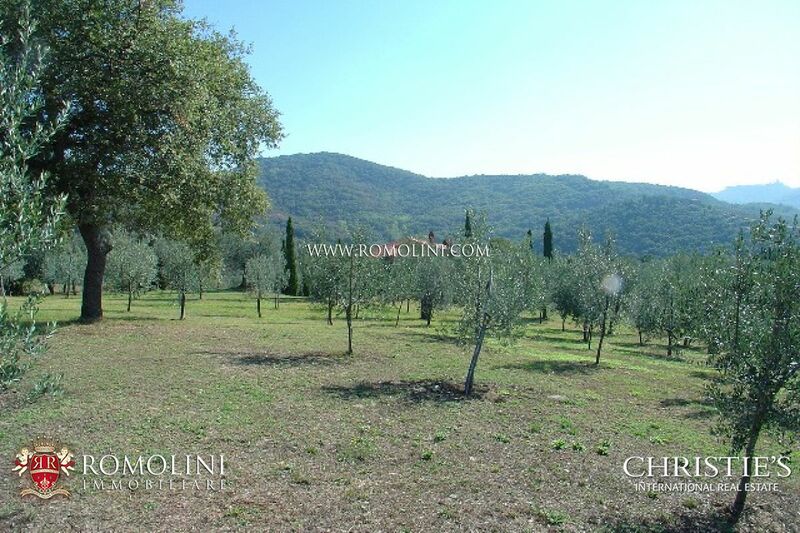 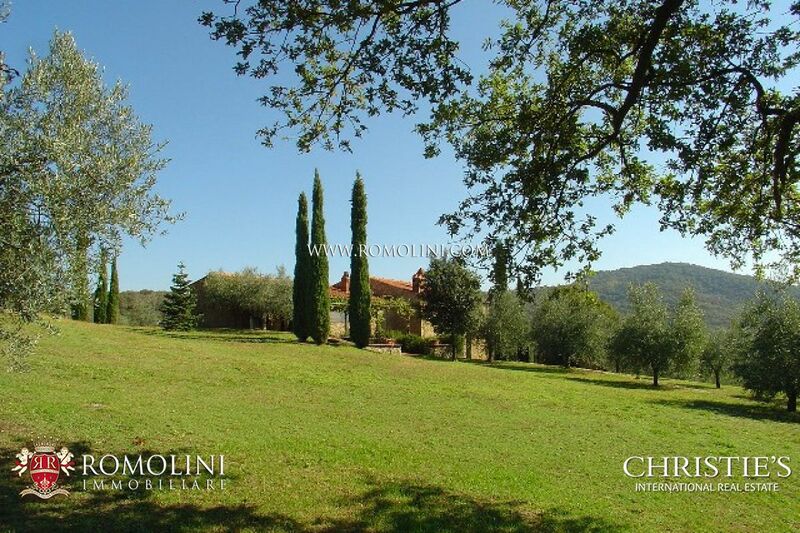 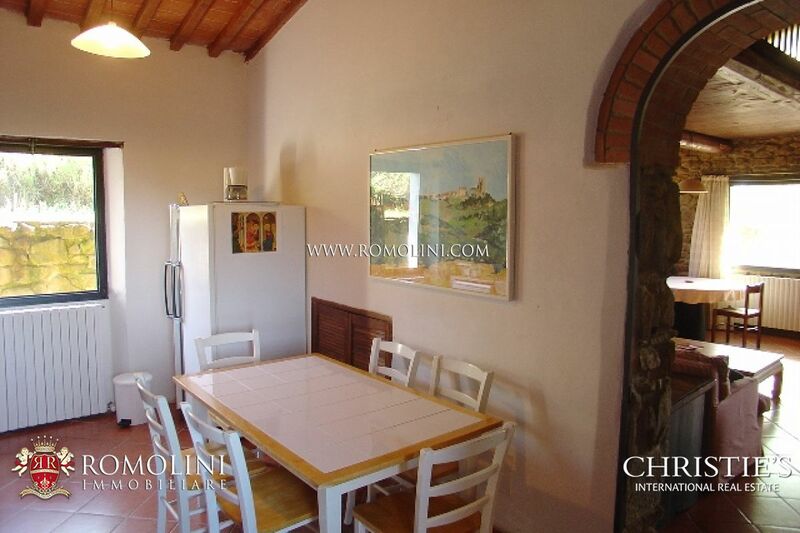 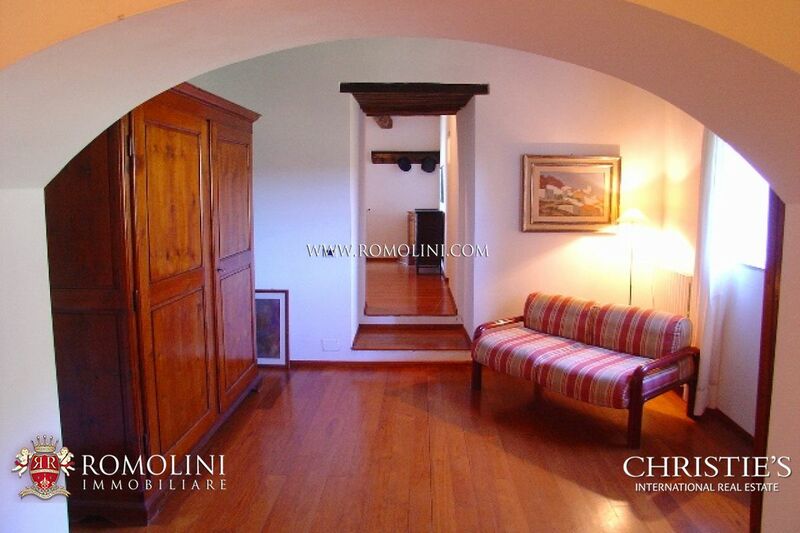 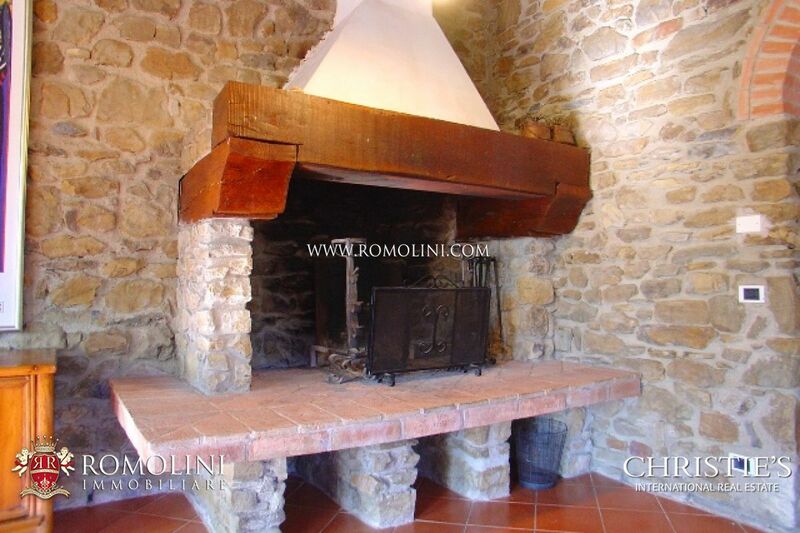 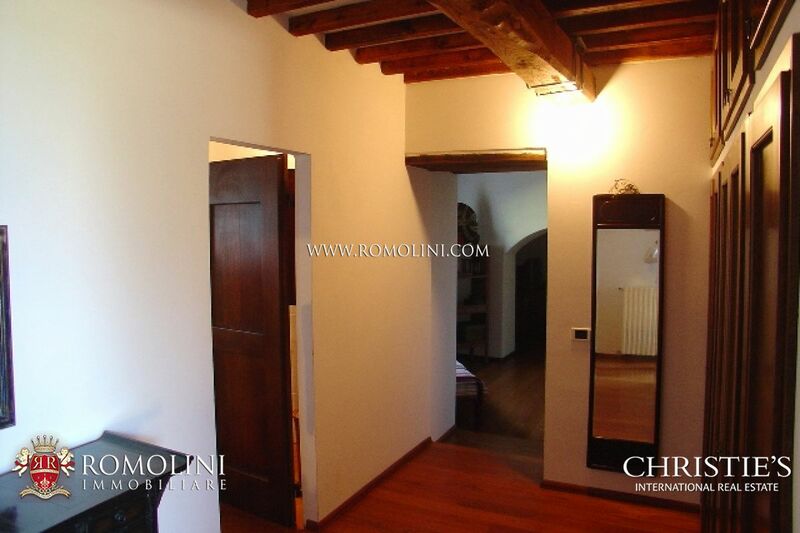 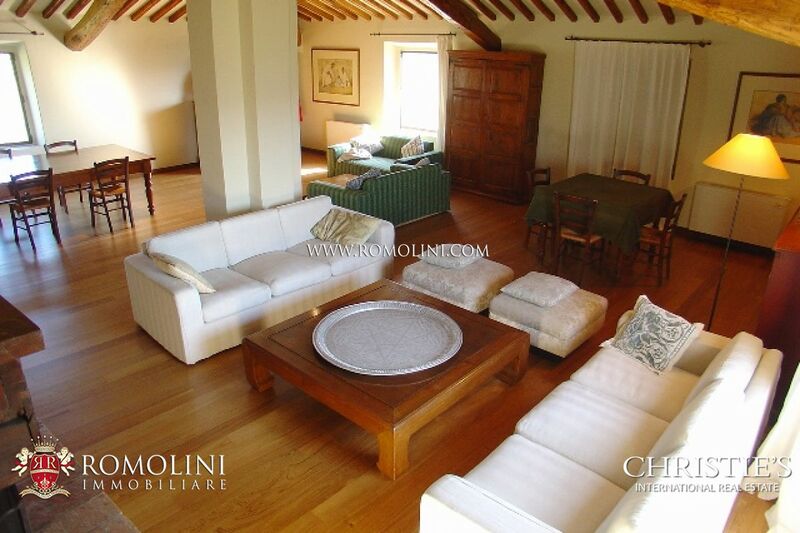 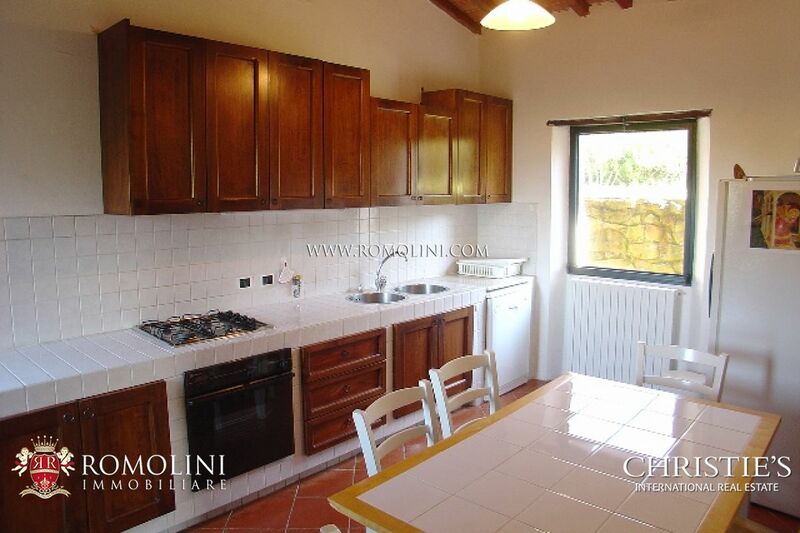 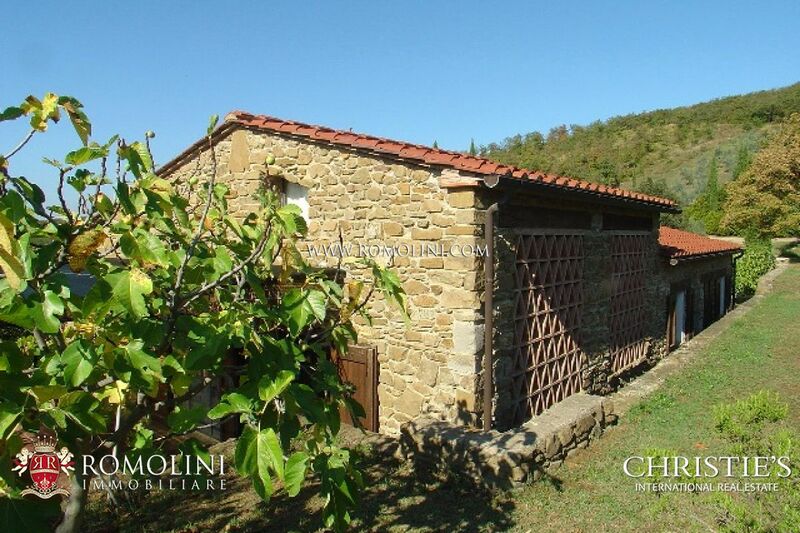 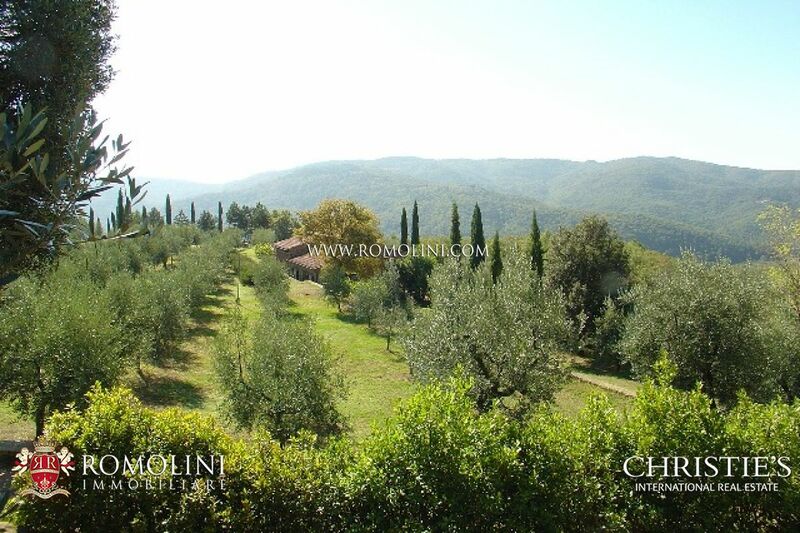 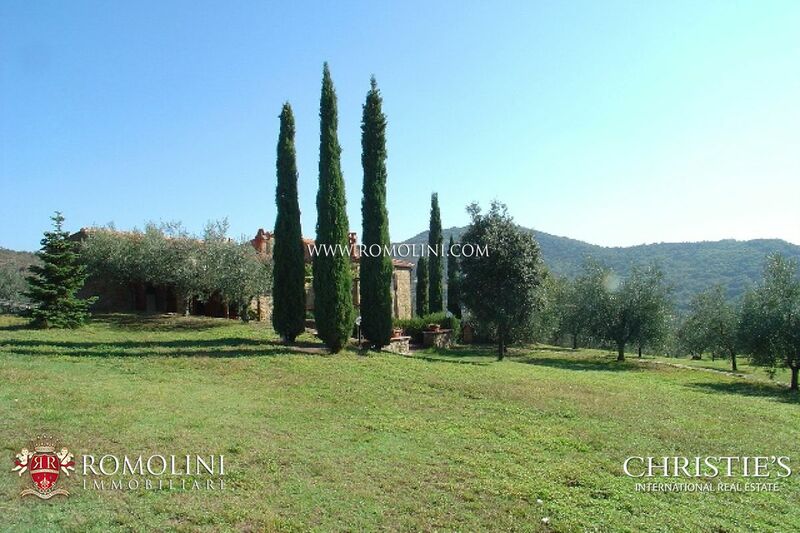 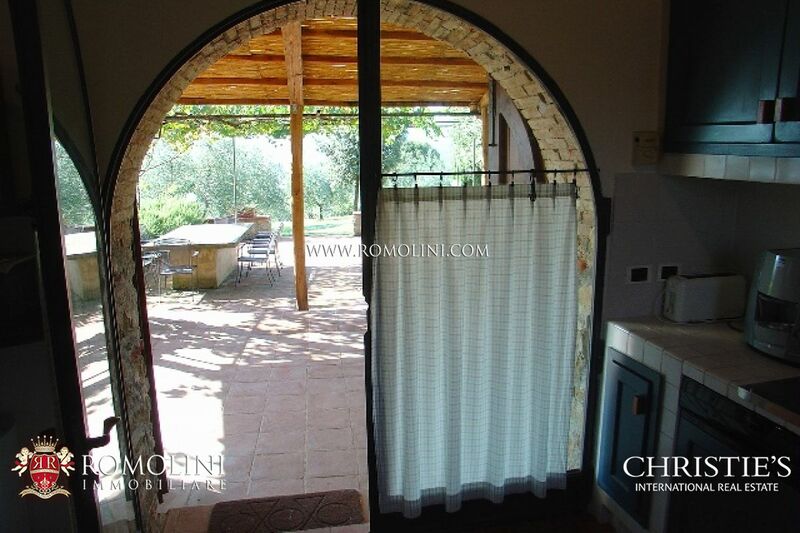 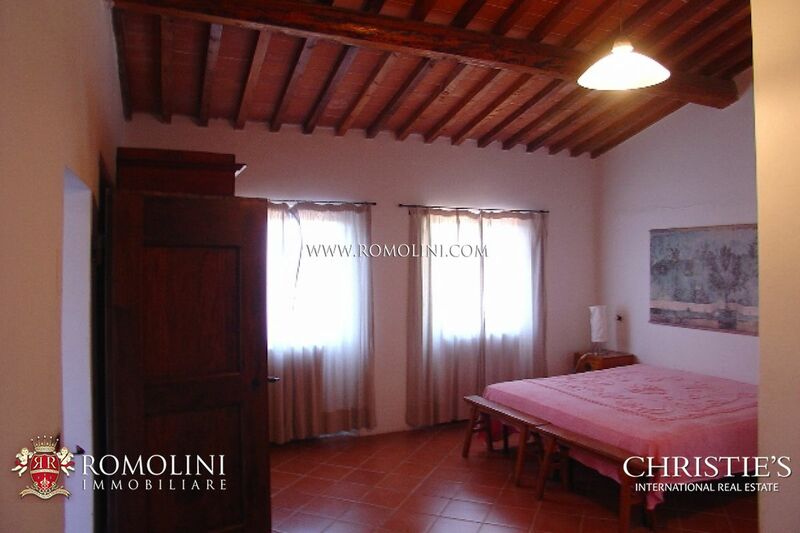 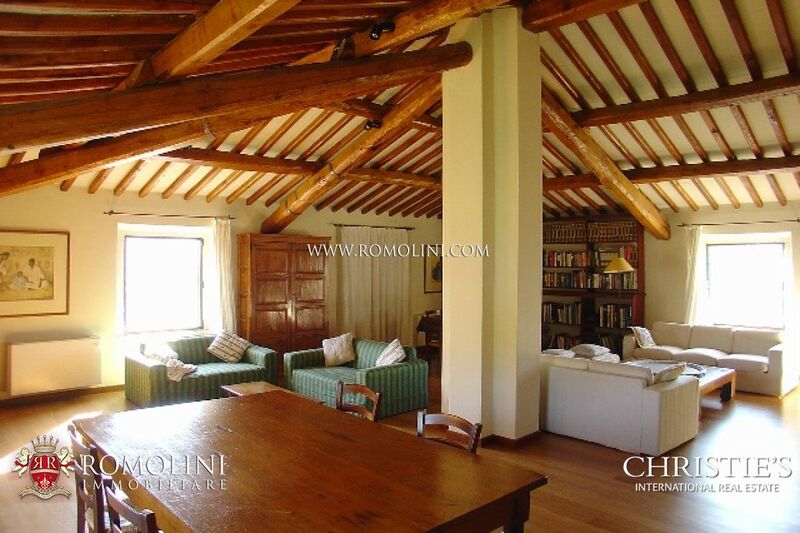 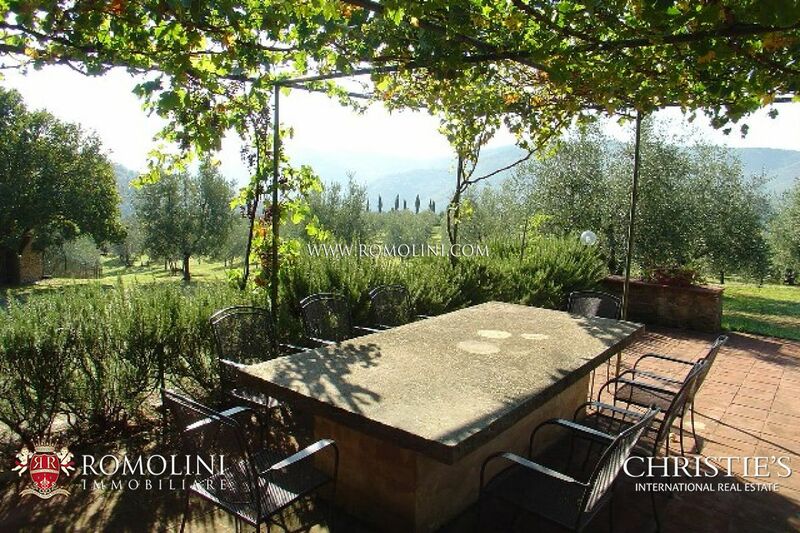 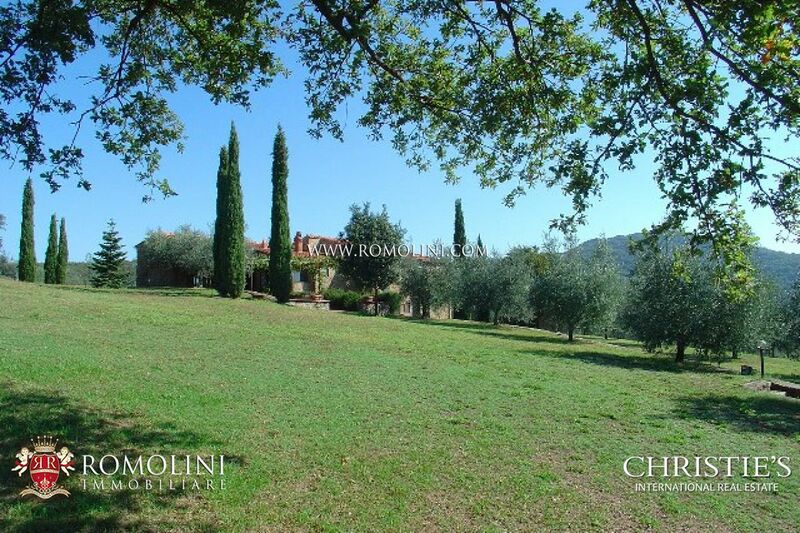 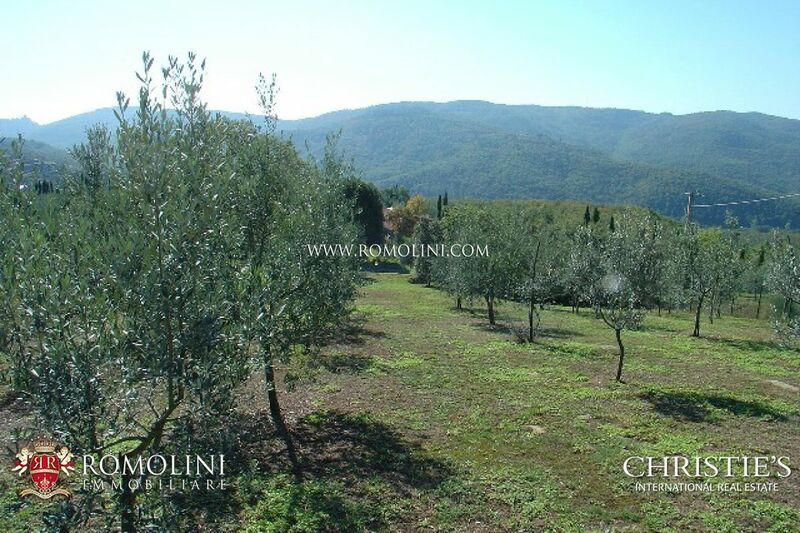 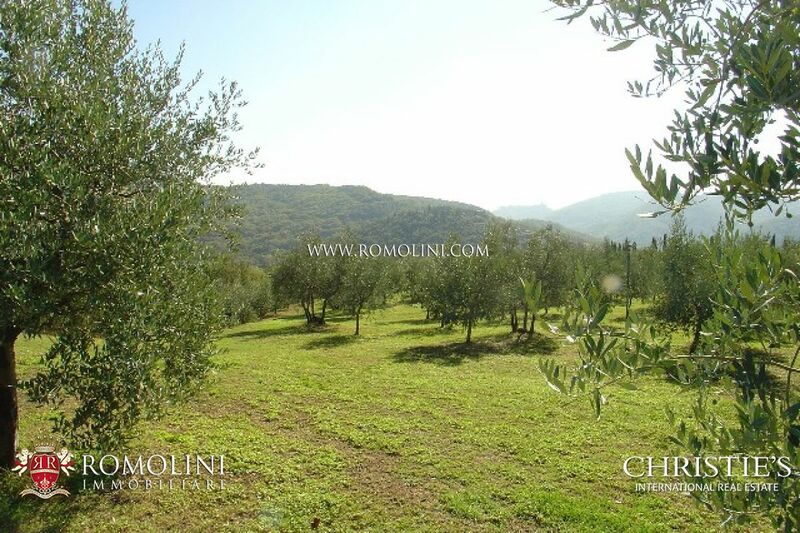 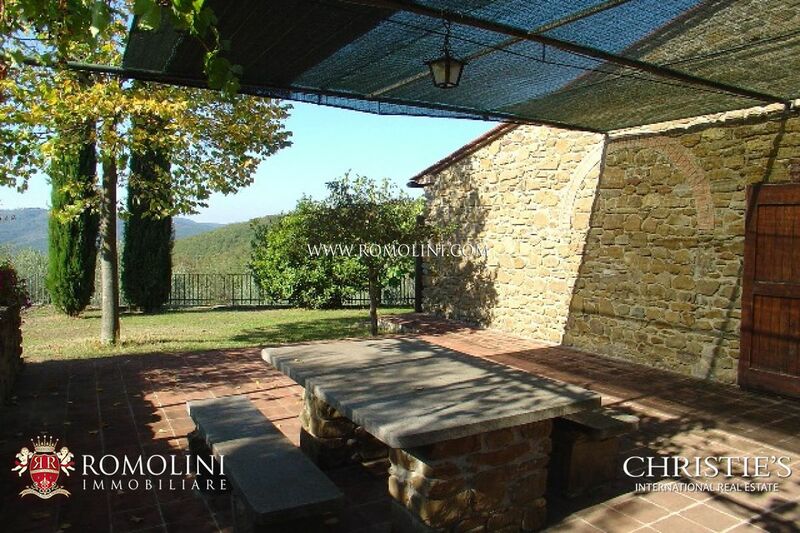 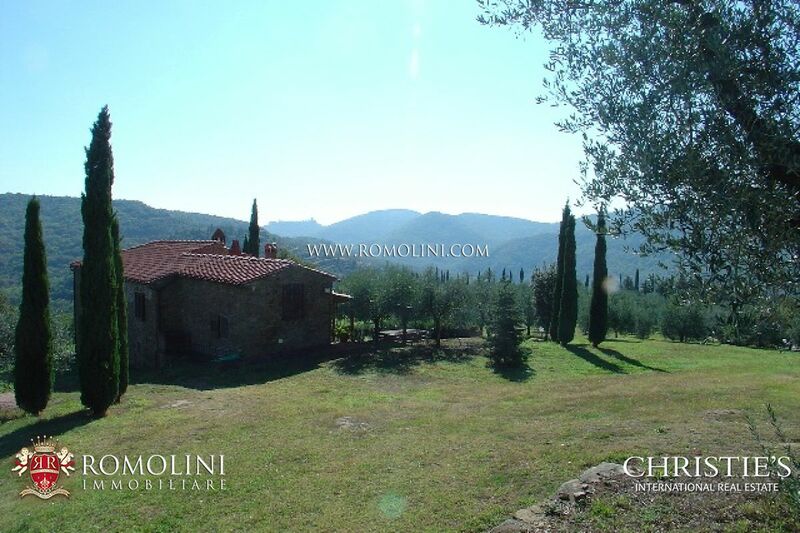 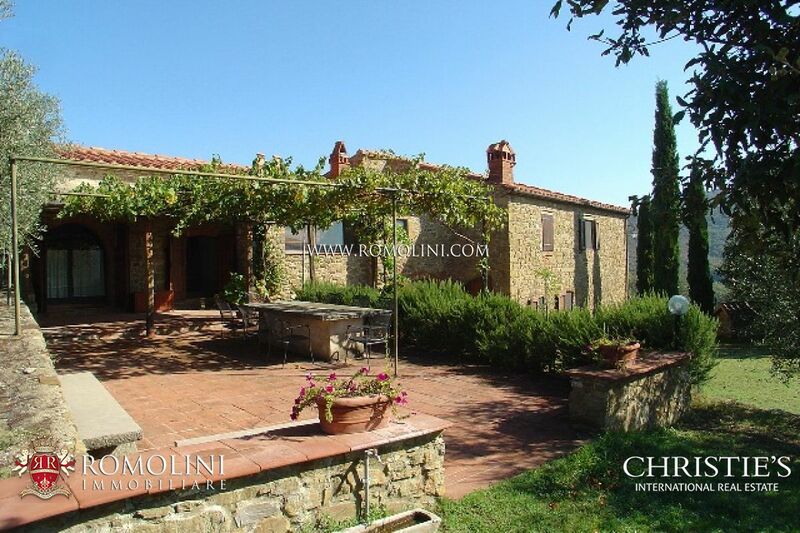 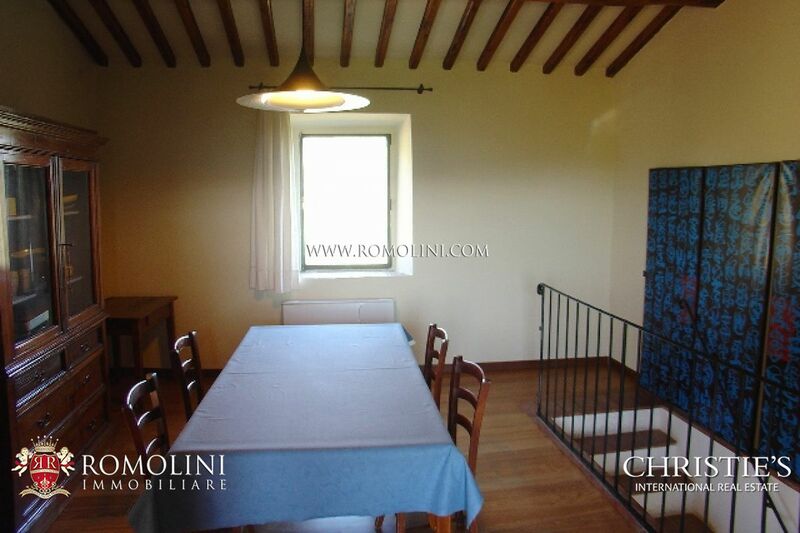 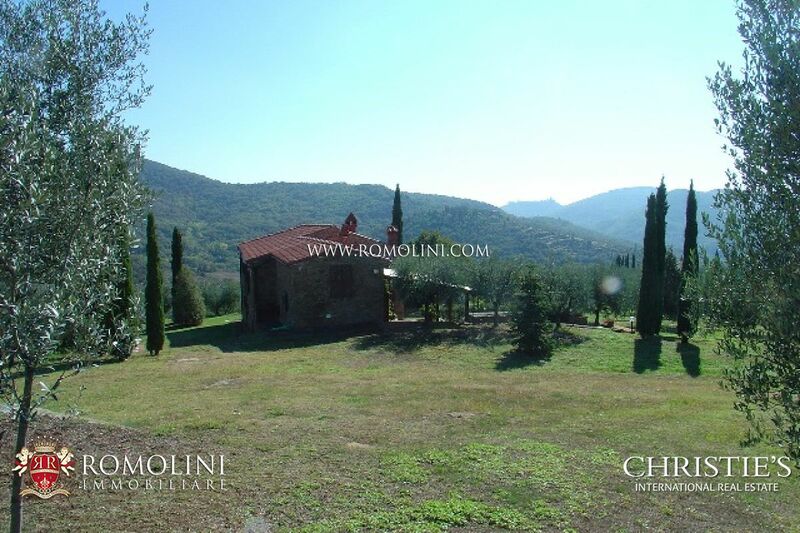 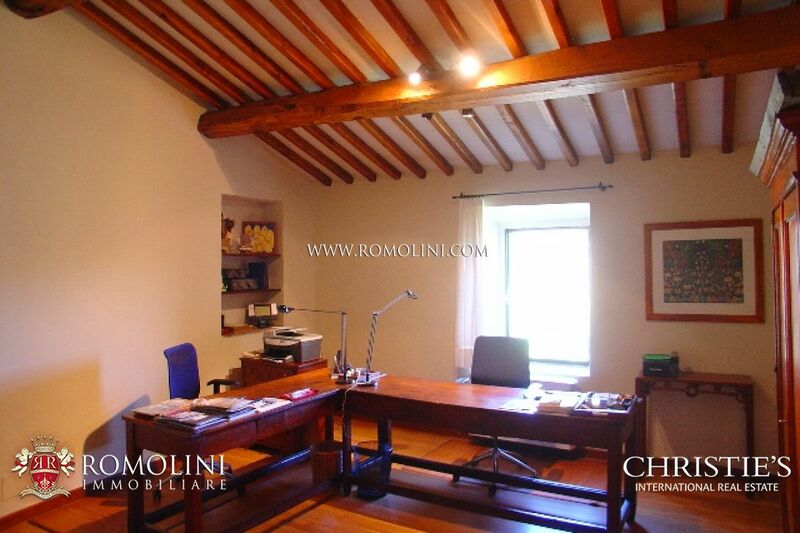 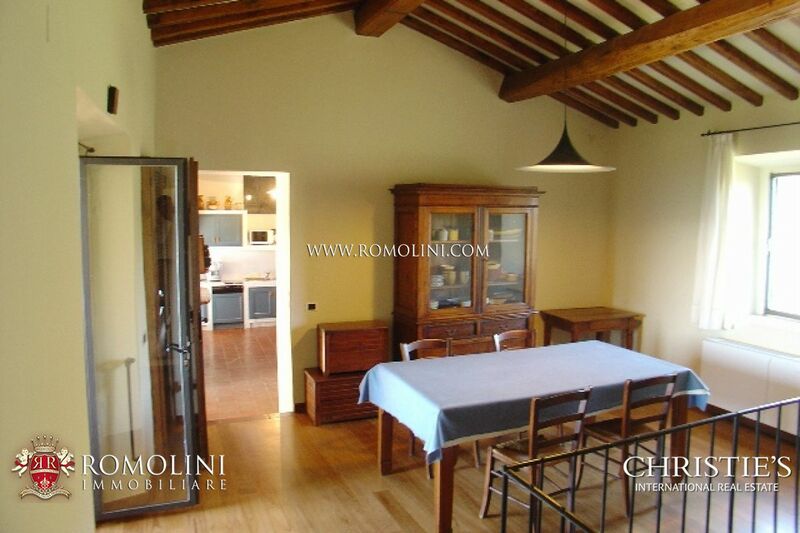 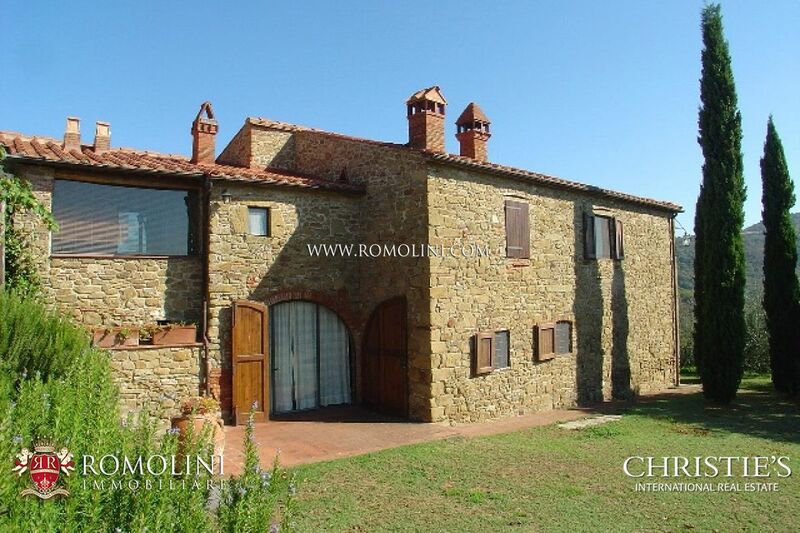 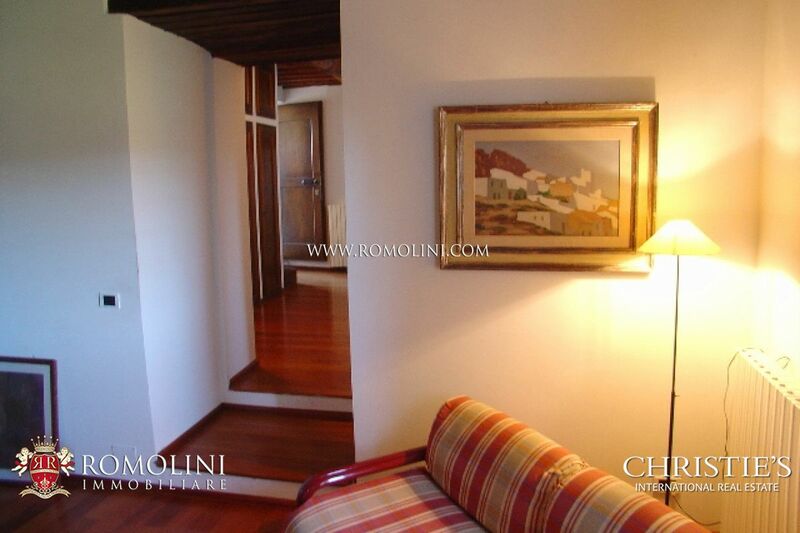 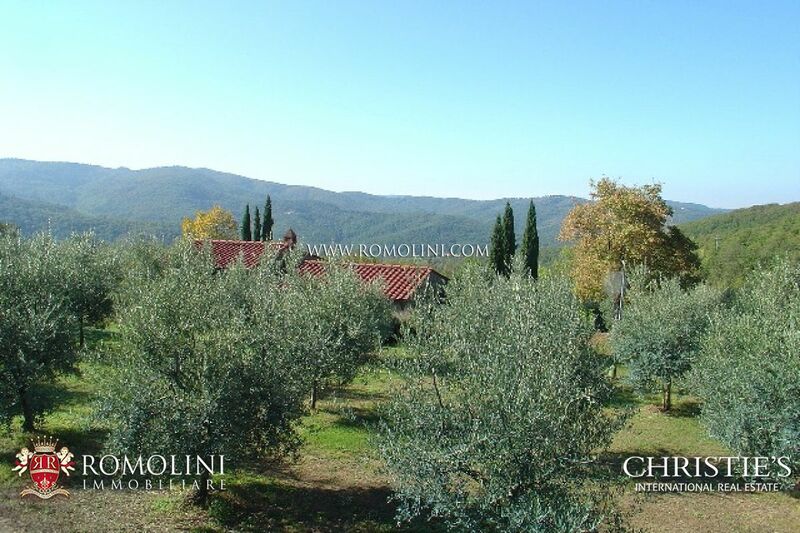 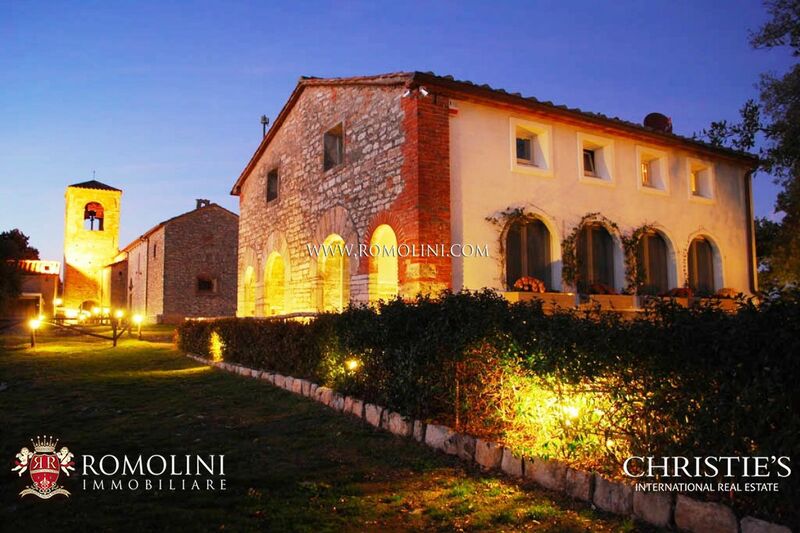 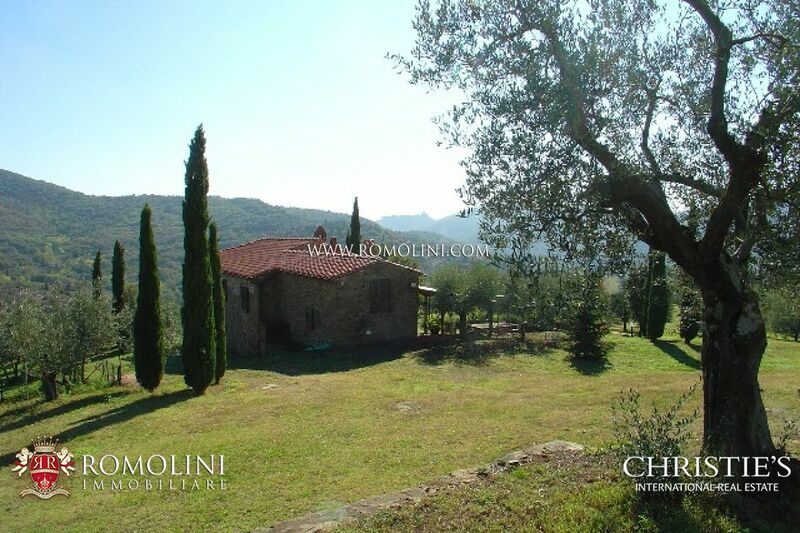 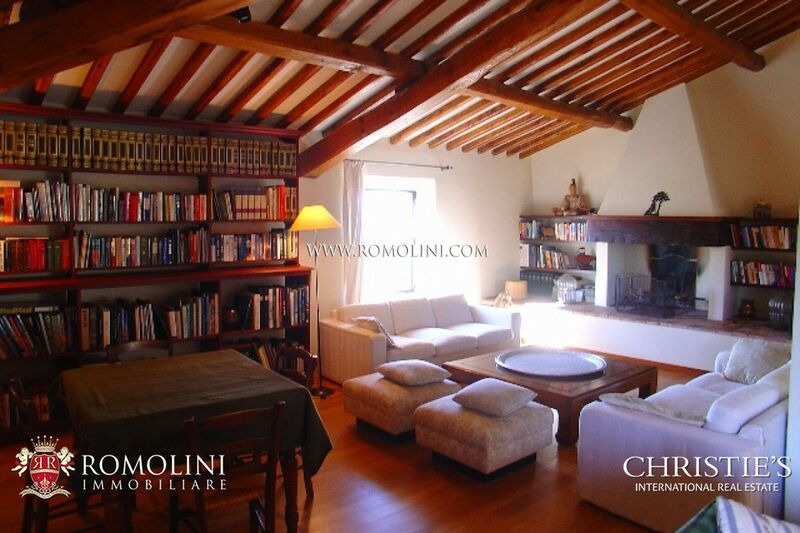 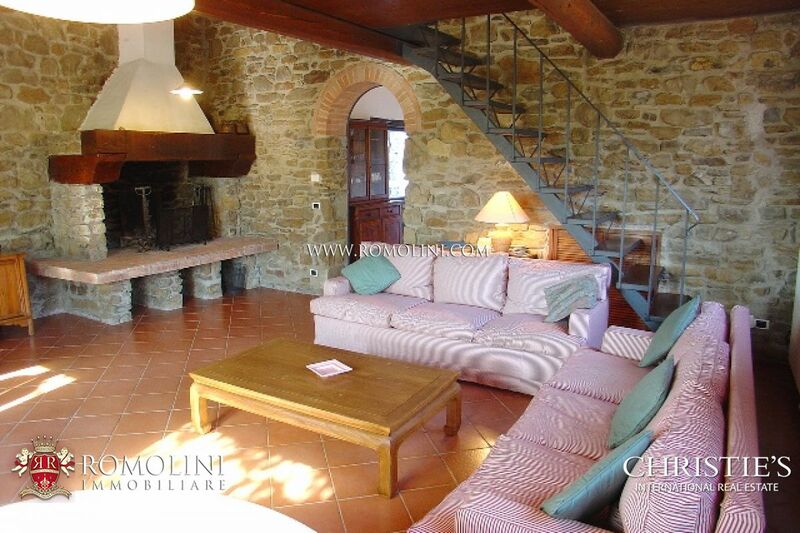 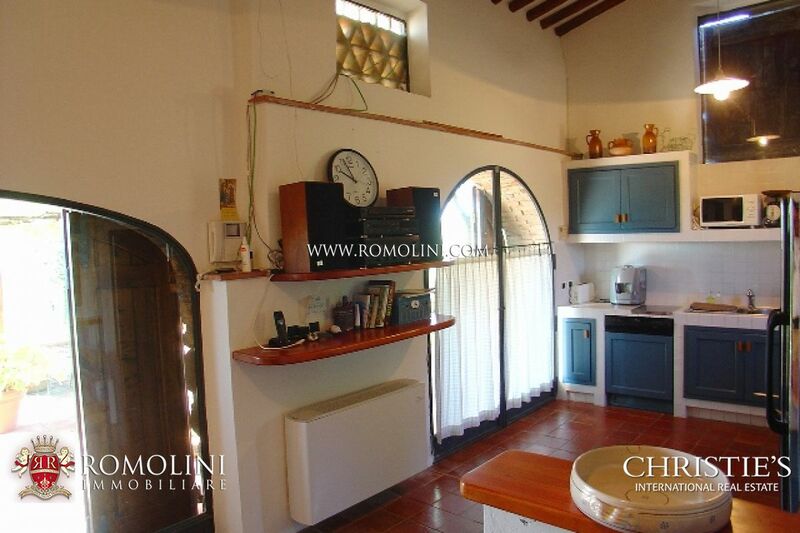 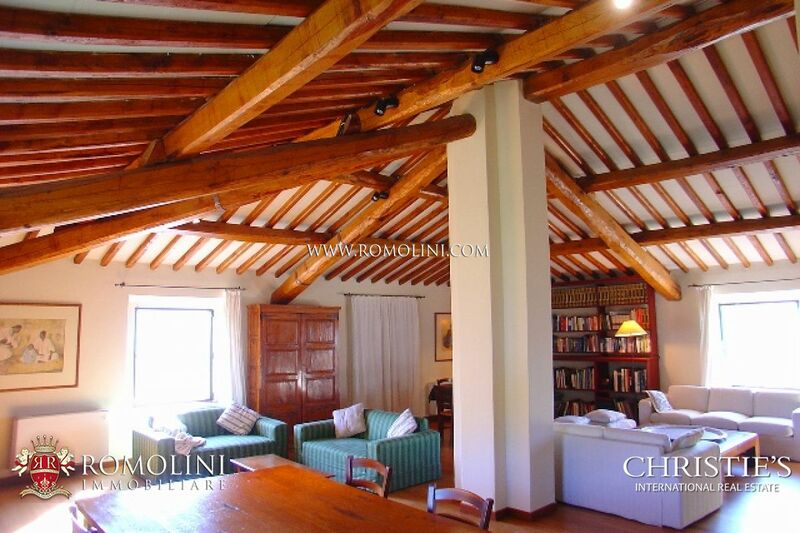 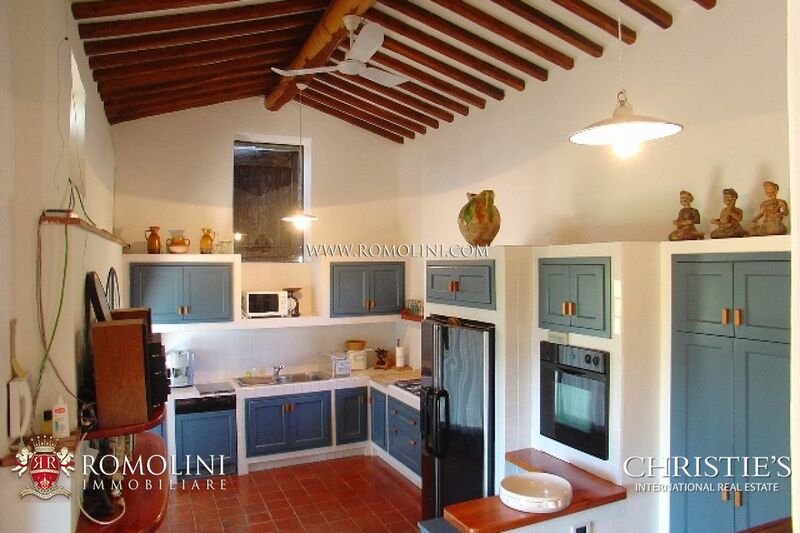 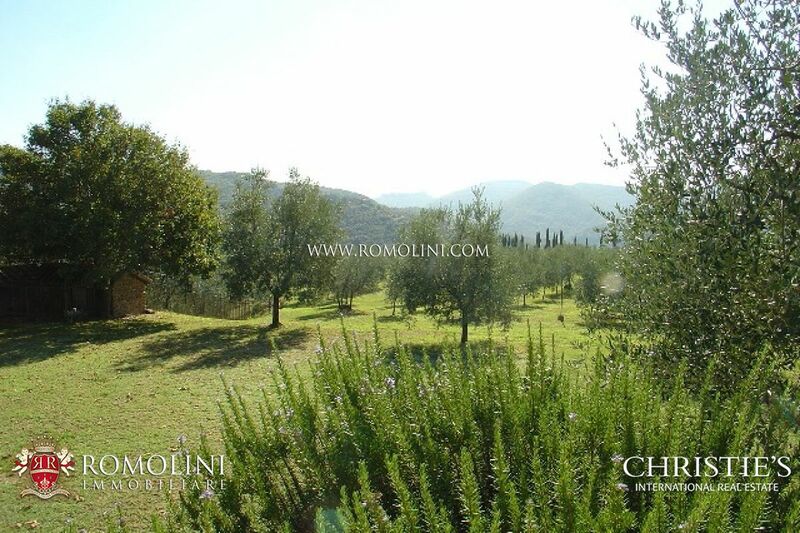 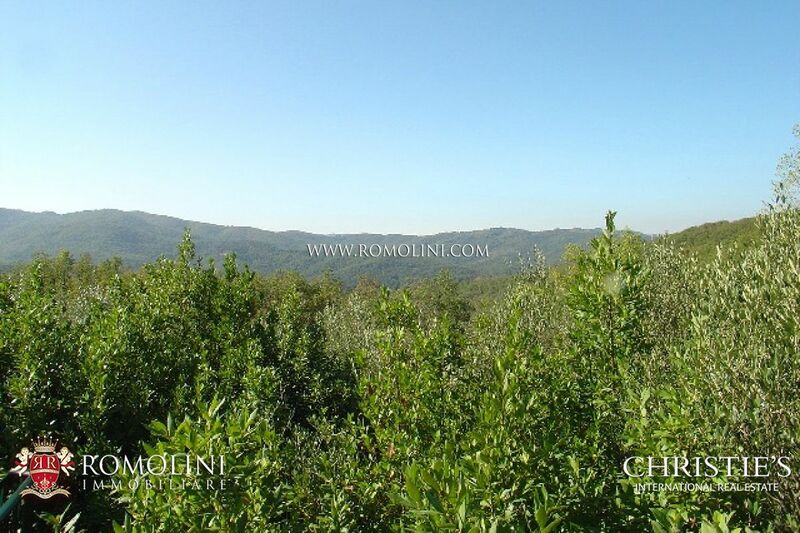 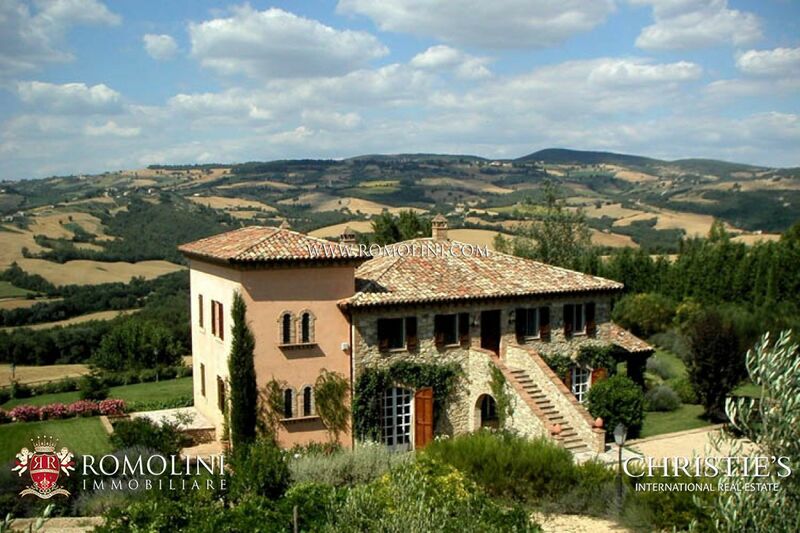 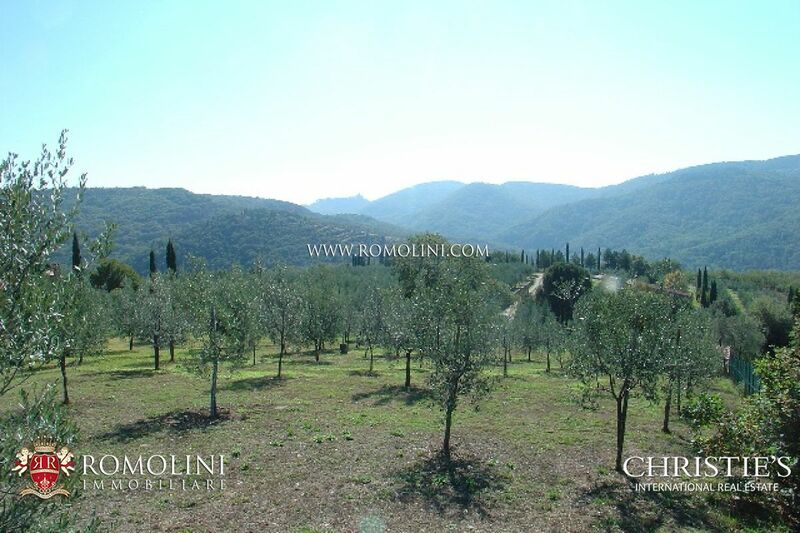 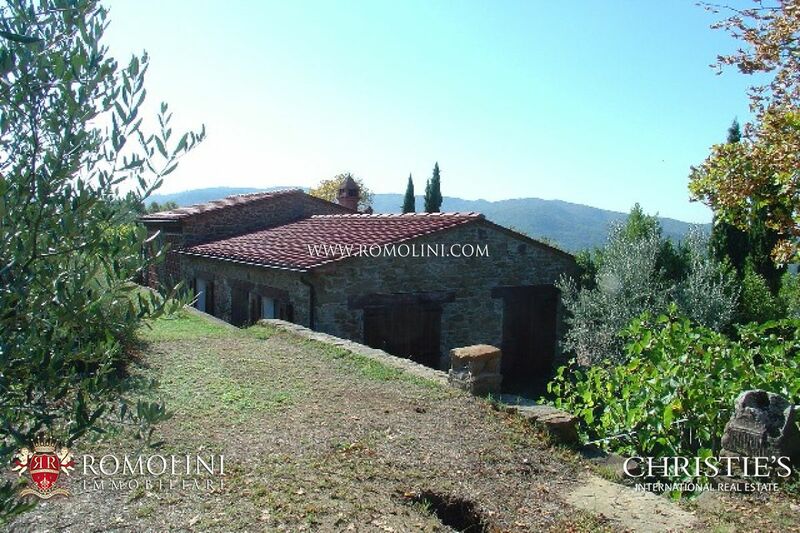 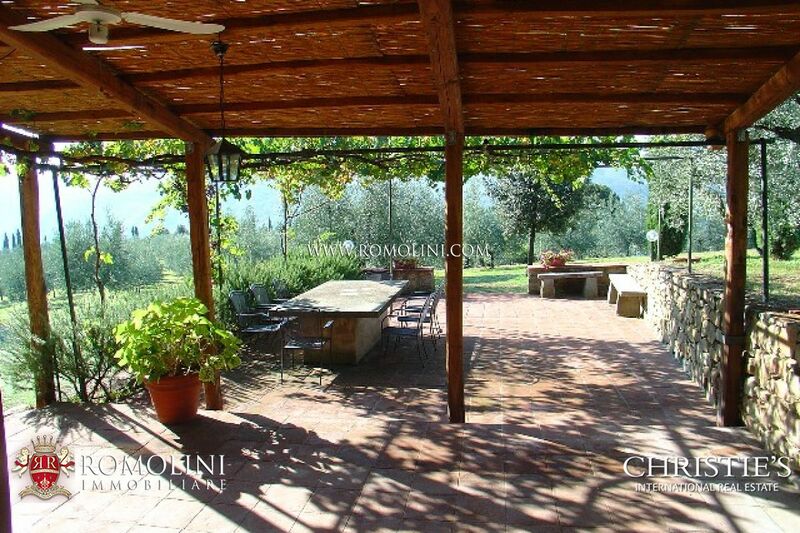 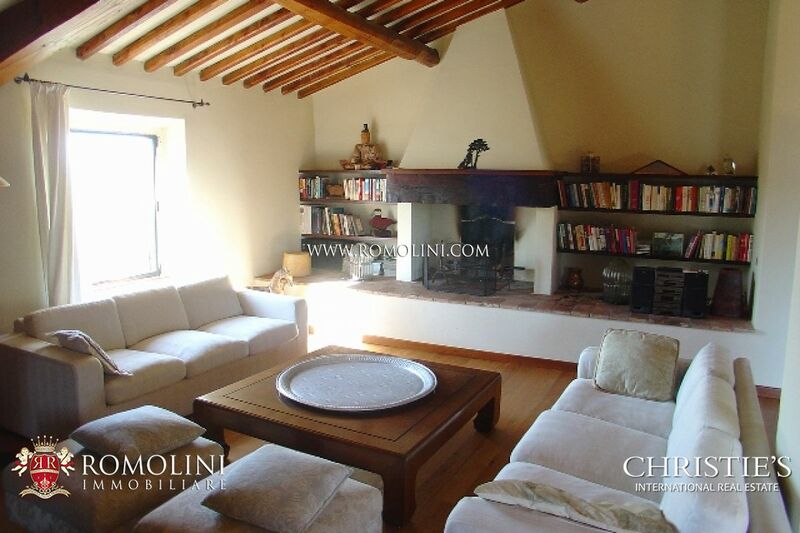 A stunning farm estate placed on a marvellous spot overlooking the "Chianti Aretino”. 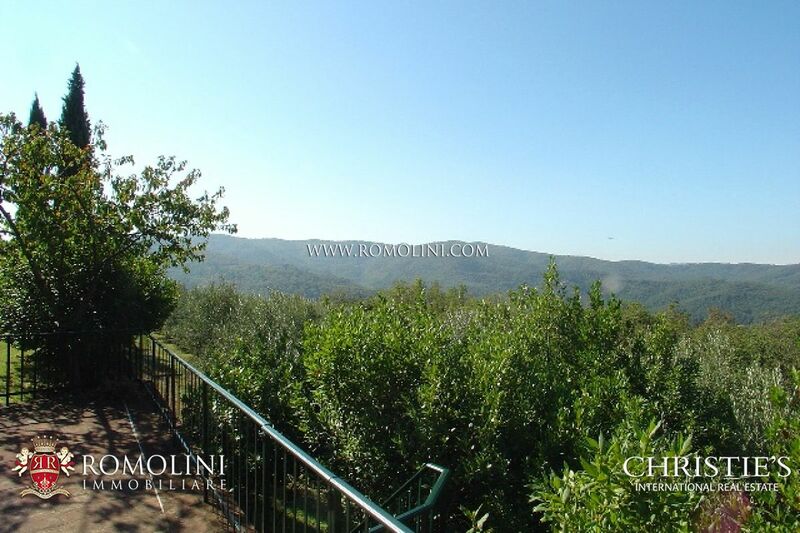 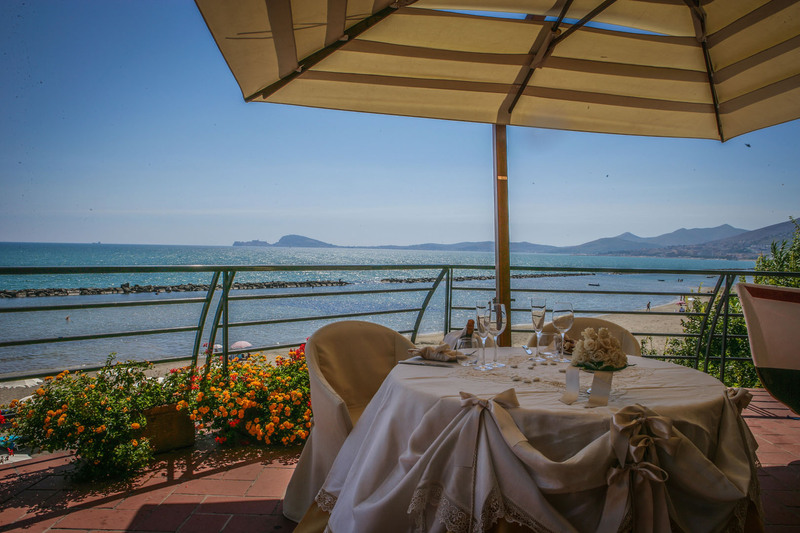 The property sits at 440 metres above the sea level and enjoys a fantastic unspoilt view. 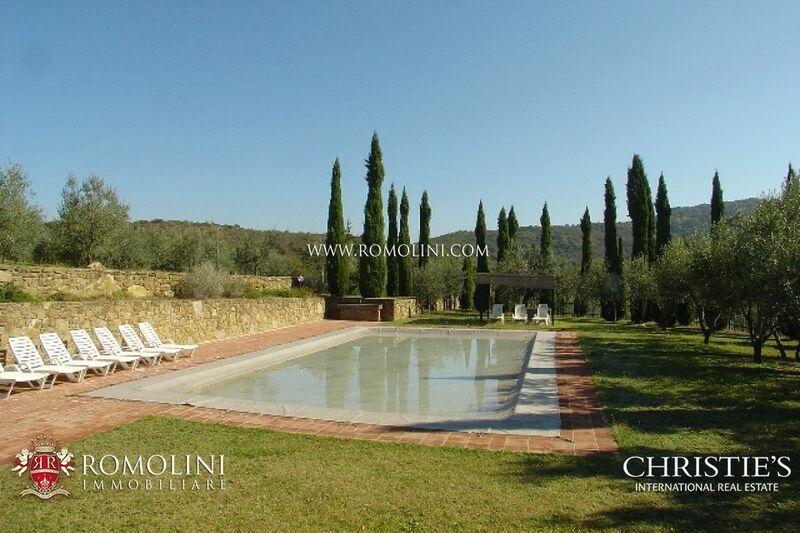 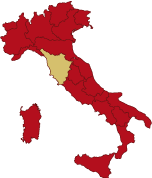 Completely surrounded by 78.2 hectares of mixed land, the estate is composed of a main old stone farmhouse, an old stone annexe now converted into a dependant apartment, two large metal agricultural outbuildings currently used as hay barn and storage for machinery, a large underground garage, swimming pool in reinforced concrete, olive grove and beautiful garden. 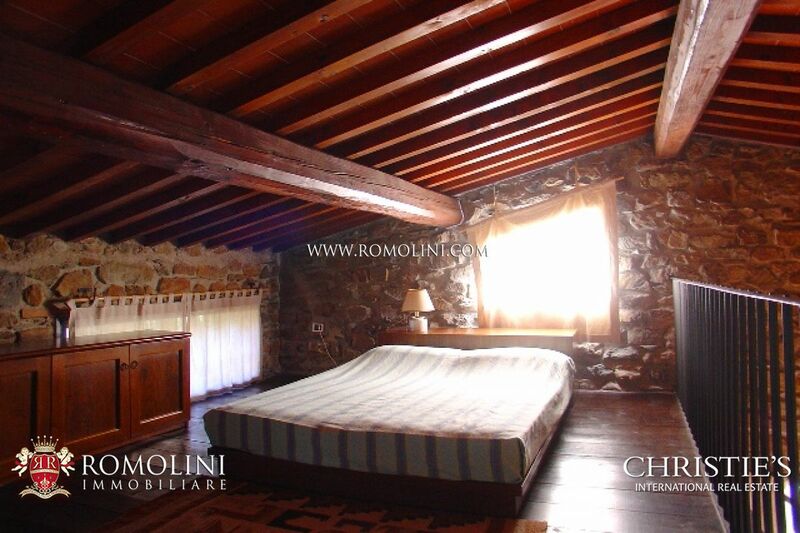 The main farmhouse is set on two floors and extends over a surface of 440 square metres. 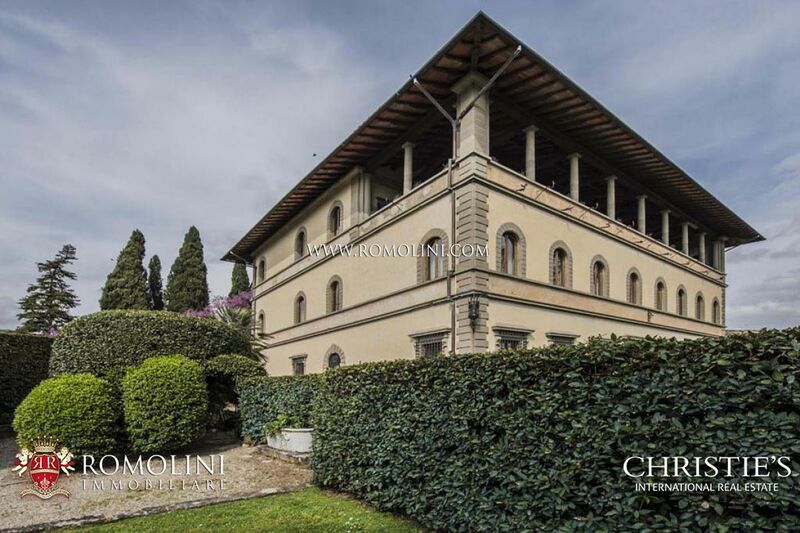 It is composed of a large kitchen, dining room, office, large living room with fireplace, double bedroom with bathroom en suite, large double bedroom with exclusive bathroom en-suite, children’s bedroom with bathroom en suite, closet. 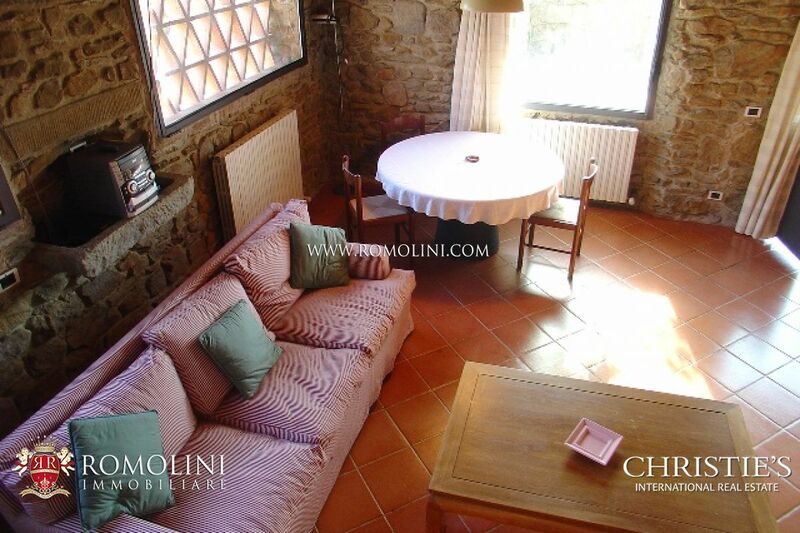 The annexe, now converted into a beautiful dependant apartment, extends over a surface of 150 square metres and it is composed as follows: large kitchen/ dining-room, living-room with fireplace, suite with exclusive bathroom en-suite, a second suite with bathroom and living area, two beautiful panoramic terraces. 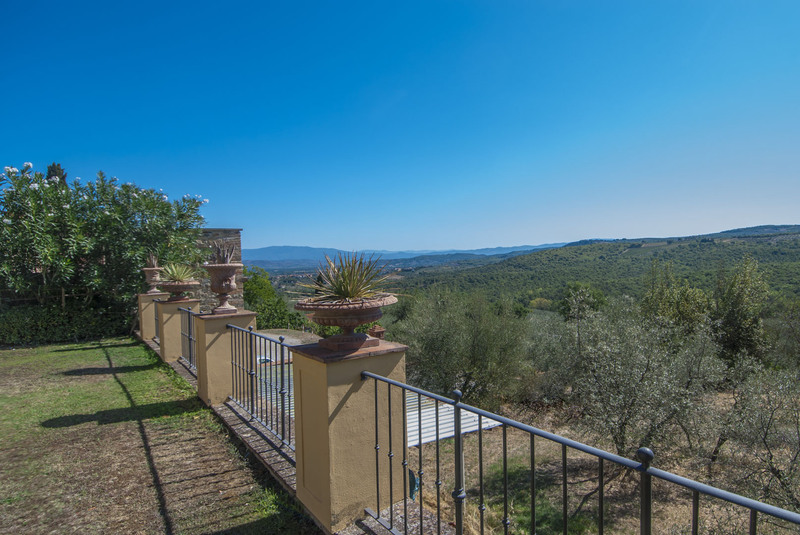 The two metal annexes have been regularly registered at the Land Registry (Catasto) and their volume can be therefore converted to create further liveable space. 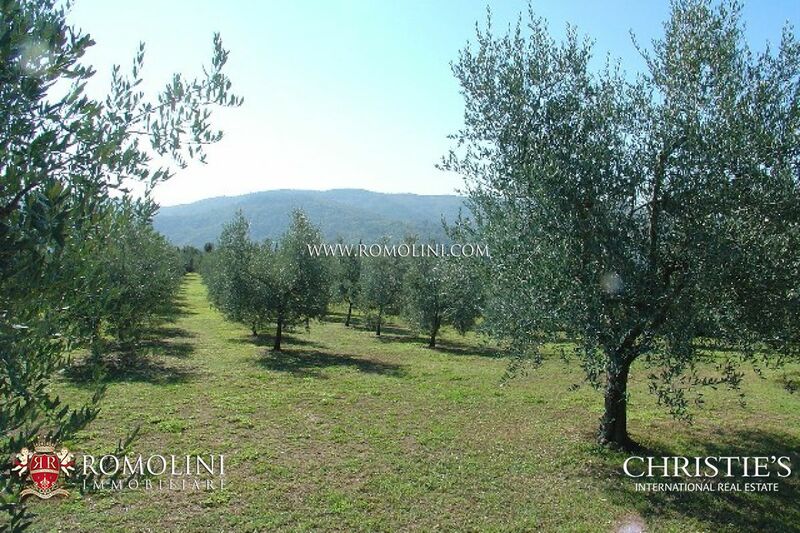 The price includes the complete machinery for the farming activity.